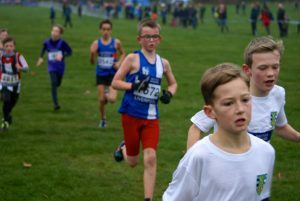 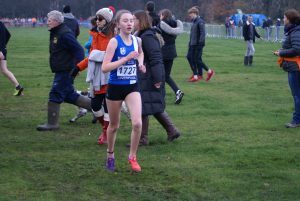 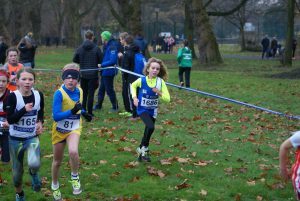 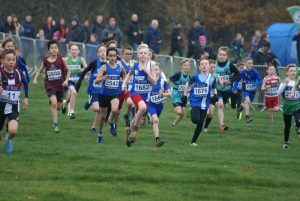 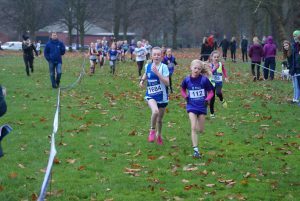 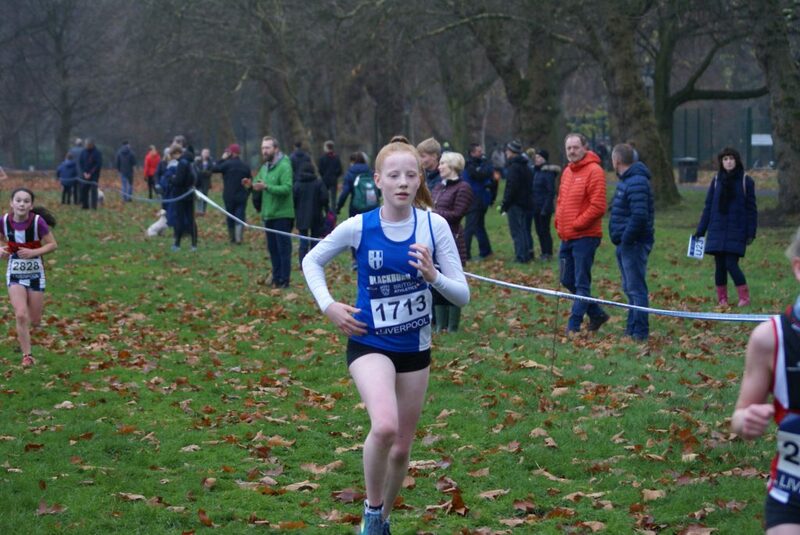 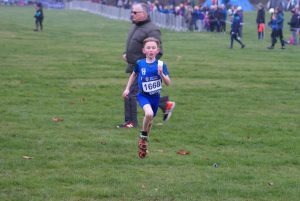 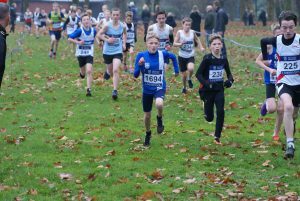 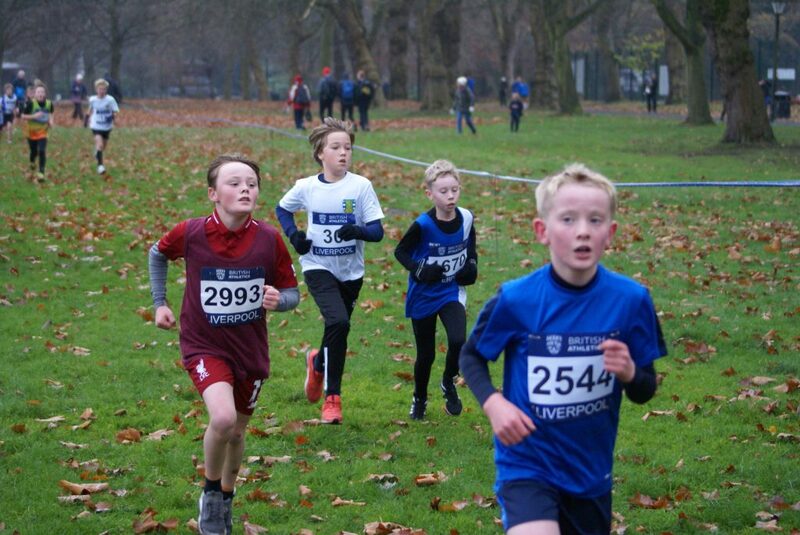 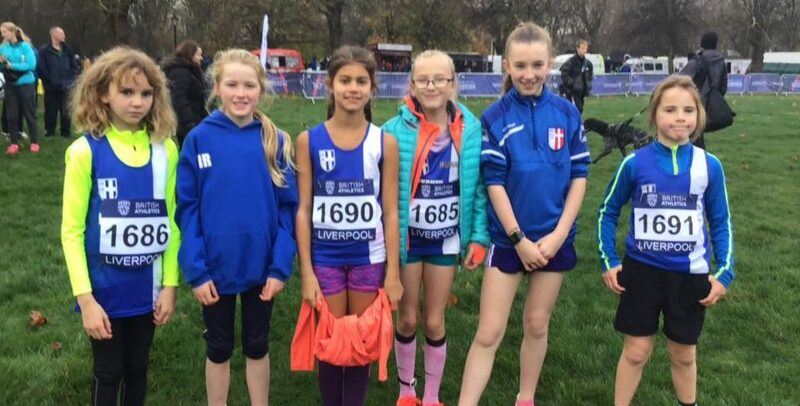 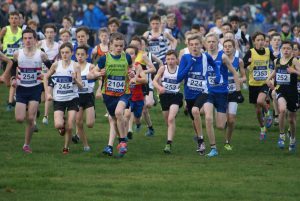 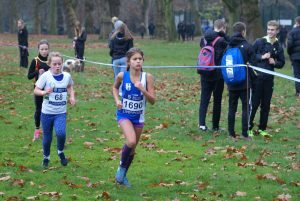 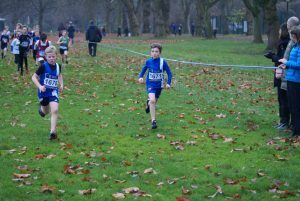 One of the highlights of the cross country calendar takes place every year at Sefton park where some of the best athletes in the different age groups – from U11’s through to Seniors – compete against one another. 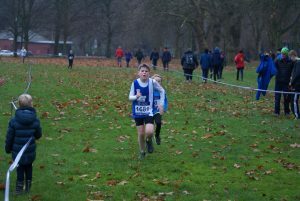 Today the weather was good, the ground dry which made for very good running and spectating conditions overall. 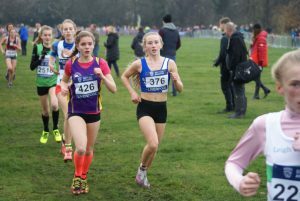 Positions of all the athletes in this report are their positions as they finished in the whole field and not the Mid Lancs postions which are calculated separately. 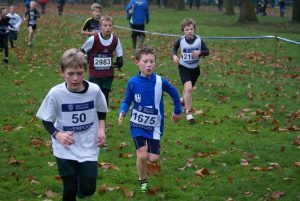 The U11 Boys were the first age group on at 10.45, the race featuring one hundred and fifty seven lads. 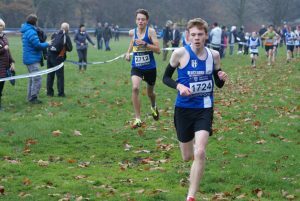 Matthew Smith led the team home in 11th spot overall, running a time of 7.15 with Sam Aspey two places further back in 13th (7.22). 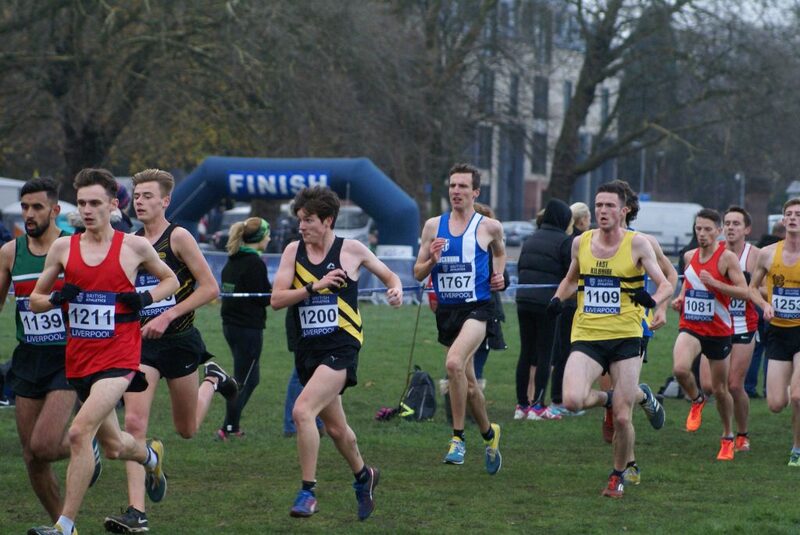 Really good running and packing by the boys saw Jacob Joyce and Oliver Gill running really well to take 17th (7.29) and 20th (7.32) to give them four in the top twenty. 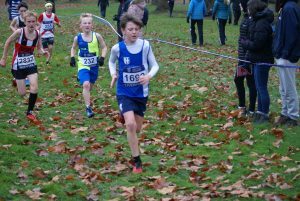 Next in came William Grundy in 43rd spot (7.50) followed by Charlie Haworth in 65th place (8.01), George Ramsden (67th) clocking 8.05, Liam Bennison (79th) in a time of 8.11, Felix Thompson in 84th (8.16), Findlay Carroll in 91st spot (8.19) with Loucas Lancashire just three places and three seconds further back in 94th (8.22), Alexander Brien placing 124th (8.51), George Holman (131st) in a time of 9.00 and Isaac Smith in 150th position with a time of 9.59. 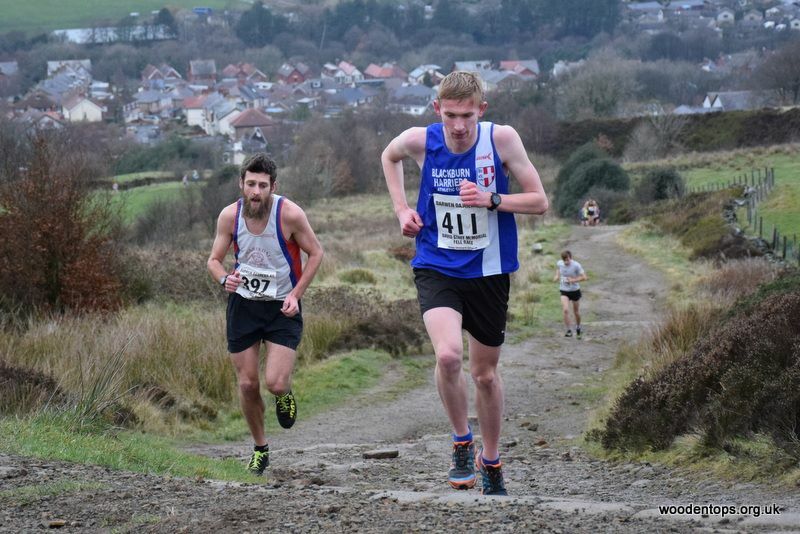 In the Mid Lancs League the Harriers were 2nd Team in a close fought contest with Trawden out of 14 Clubs taking 7th, 8th, 9th, 12th, 25th, 36th, 37th, 46th, 50th, 55th, 57th, 74th, 78th and 87th places. 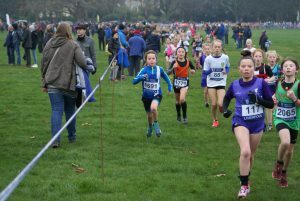 One hundred and fifty two runners in the U11 Girls Race which saw Hannah Davies be the first Blackburn Harrier home with a time of 8.07 in 21st place. 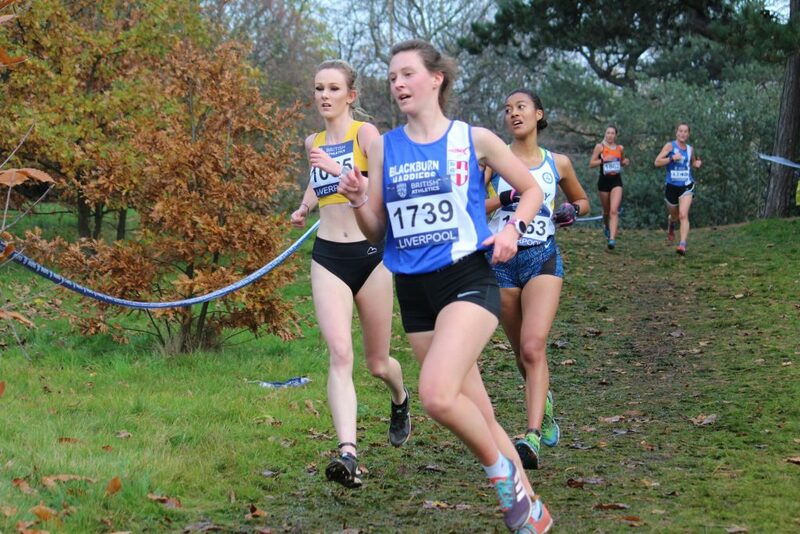 Then in 29th spot came Imogen Robinson clocking 8.16 followed by Eve Coulson in 38th (8.25), Charlotte Sousa in 56th running 8.42, Tippi Francis running a time of 9.21 in 93rd position and Lulu Sharp in 114th place posting a time of 9.42. 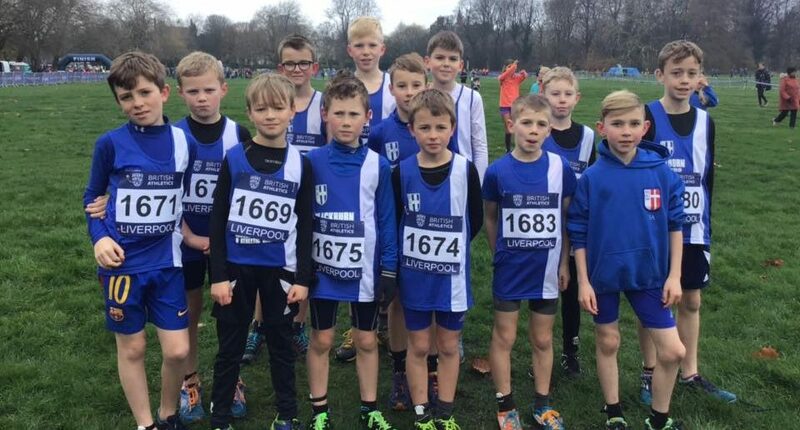 Same as the U11 Boys in the Mid Lancs League the U11 Girls finished 2nd Team overall out of 14 Clubs with 9th, 13th, 16th, 25th, 47th and 57th positions. 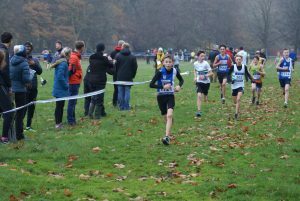 There was some fine running in the U13 Boys which had Isaac Butler with a very strong start at the front of the race on early on, coming home as first Blackburn Harrier in 21st place clocking a time of 11.13 with Dexta Thompson just eight seconds further back in 28th place (11.21) and Theo Watson in 35th spot in a time of 11.30. 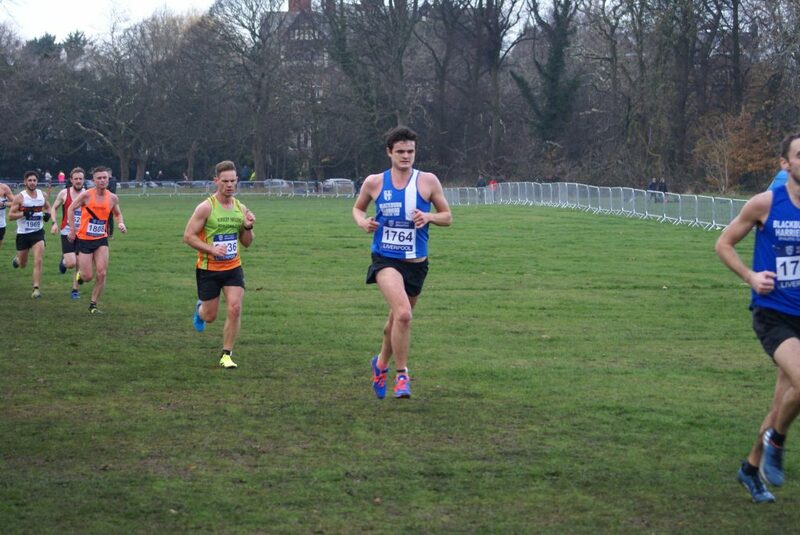 Just two seconds separated Codie Dewhurst in 54th position (11.55) and Daniel Smith in 55th (11.57). 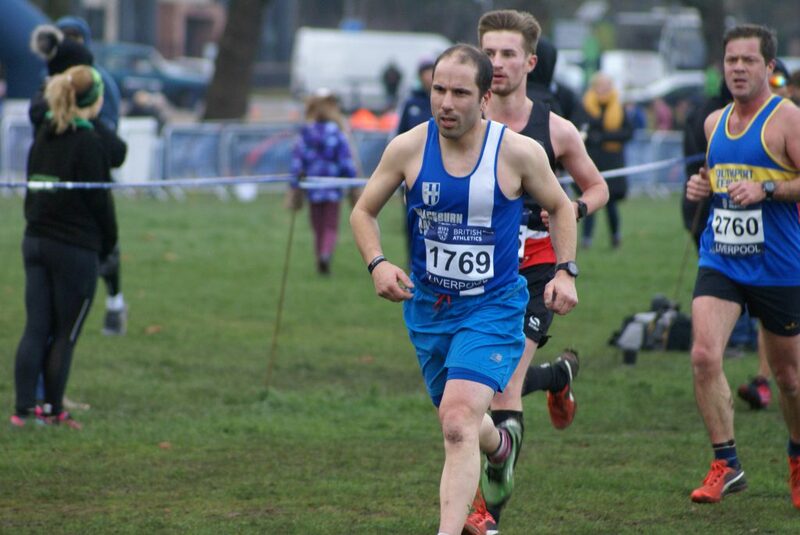 Jonathan Brindle was next across the line in a time of 12.10 (71st) with Saul Sharp in 88th place (12.31), Ben Livesey in 91st (12.38) and Lewis Hardman in 119th (14.08). 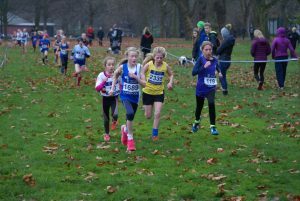 Another big field for the U13 Girls saw one hundred and thirty three young athletes toe the line at the start with six girls from the Harriers. 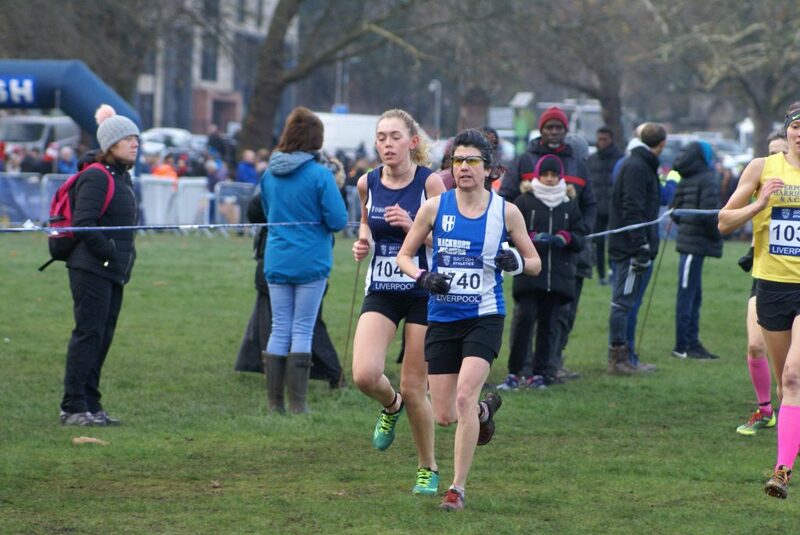 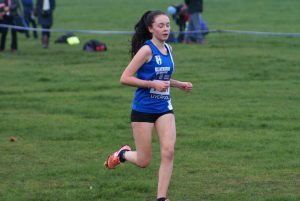 Keira Haxton was the first home in the blue & white in 62nd place clocking 13.01, followed by Molly Grimshaw in 77th (13.28), Kiera Booth (83rd) with a time of 13.31, Isabelle Hartley running 13.43 in 94th place, Caroline Woodworth coming home in 102nd spot (13.55) and Kady Thompson (126th) in a time of 15.26. 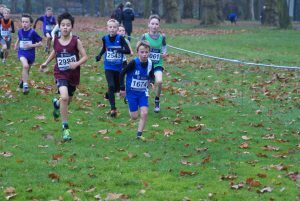 6th place in the team race featuring 10 teams for the Harriers with individual placings of 25th, 32nd, 36th, 43rd, 50th and 69th. 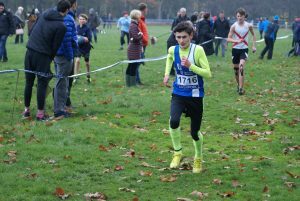 Woody Jerome (Aldershot) was a comfortable winner of the U15 Boys race coming home 12 seconds in front of the 133 strong field. 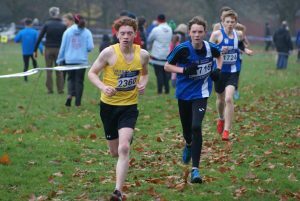 Highest placed athlete for the Club was Kyle Taylor-Pomfret in 83rd spot in a time of 11.20 with Ethan Barbarewicz not far behind in 87th spot (11.27). 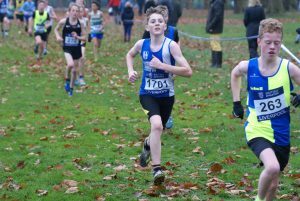 Then came three Harriers with just six seconds separating them, Joseph Joyce being the first in 100th place (12.02), George Whittaker (102nd) in a time of 12.07 and Jack Paget-Fowler 103rd in 12.08. 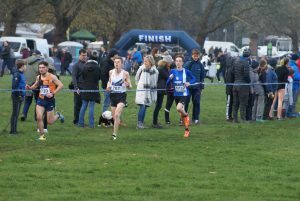 They were followed in by three more in close succession – Thomas Brooks (108th) in 12.19, Danny Woodcock (109th) in a time of 12.21, Sebastian Burton (112th) in 12.29 and Rory Teare in 121st spot running 13.13. 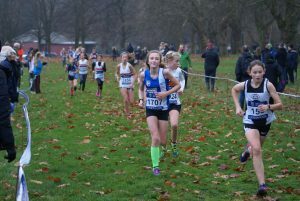 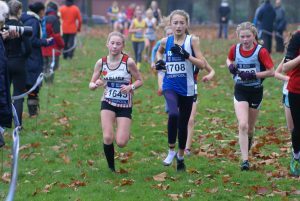 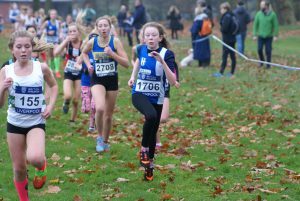 Just four Girls in the U15 Race – Eleesha Charnley, Hollie Cubbon, Leah Hoole and Rebecca Ramsden in a field of one hundred and thirty two runners. 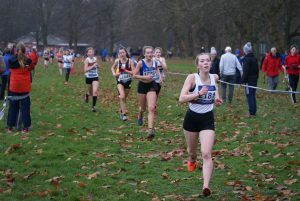 Eleesha came home as the first Harrier in 66th with a time of 12.12 and supported by Hollie in 97th (12.45), Leah (96th) clocking 12.58 and Rebecca (115th) in a time of 13.35. 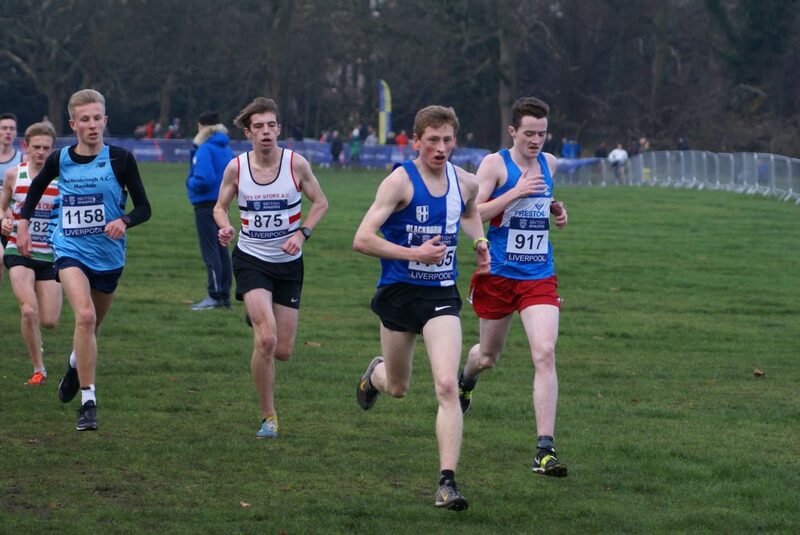 There was a very tight race in the U17 Men’s event with just four seconds between 1st, 2nd and 3rd places. 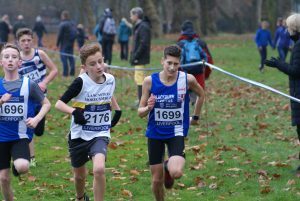 Matt Ramsden crossed the line first for the Harriers in 25th place in the 130 + strong field, clocking 18.12 with Sam Hodkinson in 55th spot running a time of 18.55, Jamie Teare (112th) in 20.49 and Harry Wilkin in 120th place (21.57). 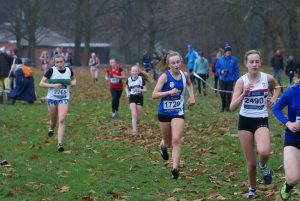 Just three athletes in the U17 Women’s Race which had a smaller field of 81 athletes. 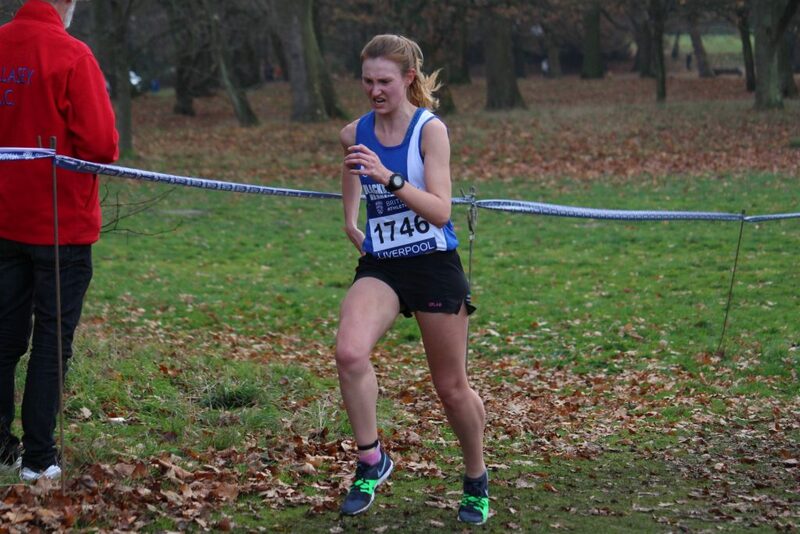 Amy Davies was the first Harrier home in 49th place (17.24) followed by Hollie Oldham in 78th place (20.46) and Alex Taylor (80th) in a time of 22.19. 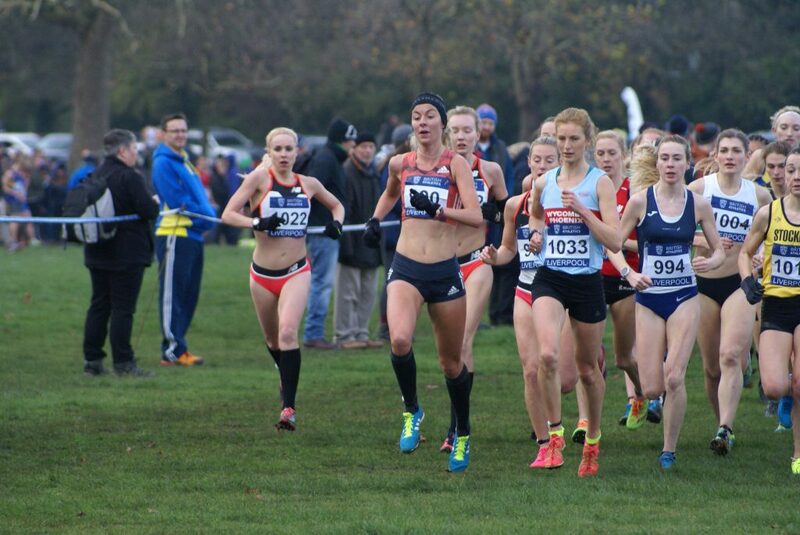 A stacked field in the Women’s Race – featuring over three hundred athletes – saw Charlotte Arter (Cardiff) take the win in 26.10 as 2nd (Ockenden) and 3rd (Piasecki) were give the same time of 26.14. 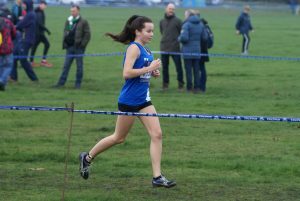 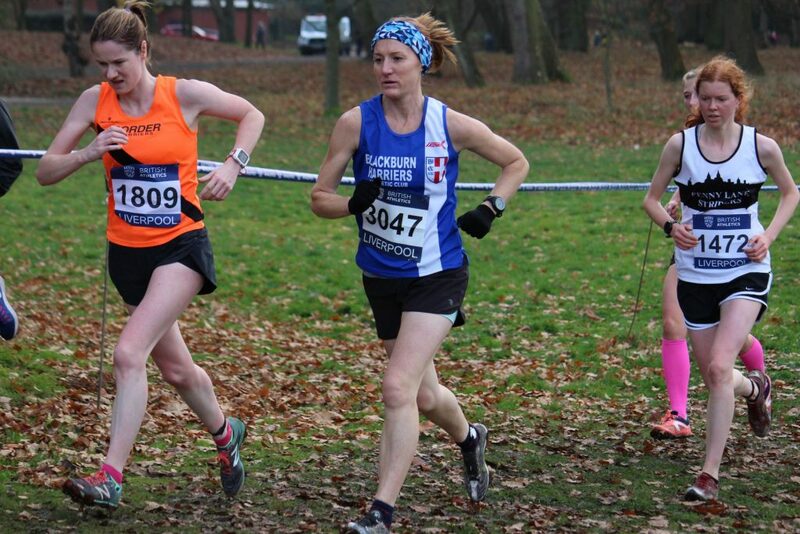 Jess Judd finished 15th overall and first across the line for Blackburn in a time of 27.11. 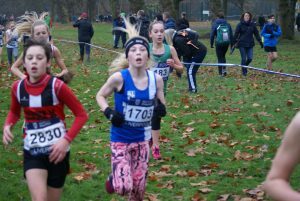 Second Harrier home was Annabel Ralph in 80th place clocking a good time of 30.44 with Katie Buckingham coming in 90th in a time of 32.01. 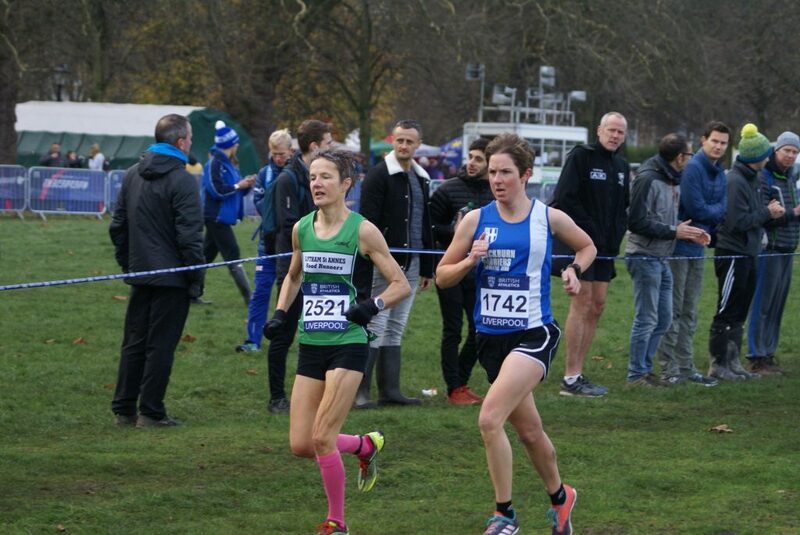 Just two seconds behind Katie, came Carmen Byrne who had worked her way through the field in 91st spot (32.11). 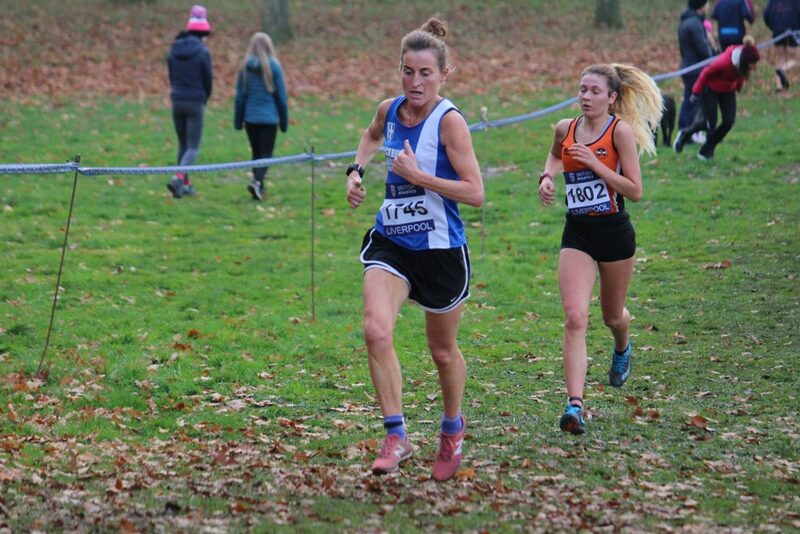 Joanne Nelson was next home in 94th (32.29) followed by Carly Edwards in 109th (34.06), Janine Fallon in 119th (34.53), Lindsay Davies in 150th (36.31) and Michelle Teare 227th in a time of 40.55. 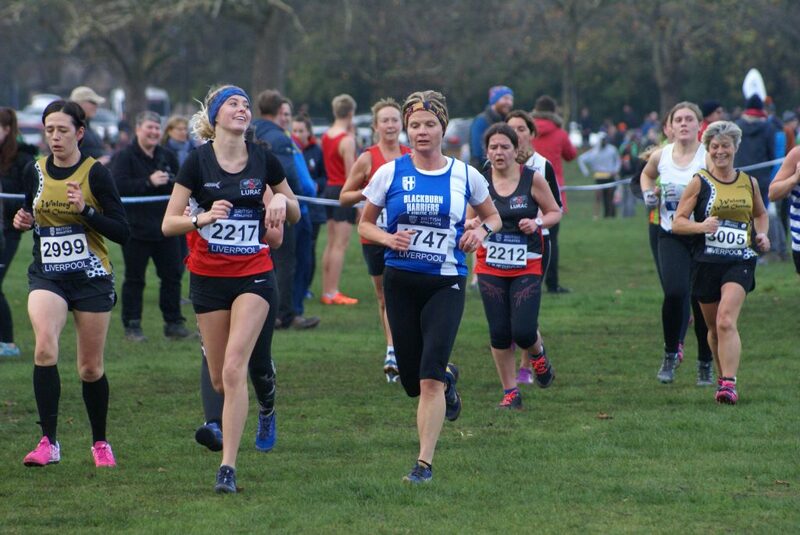 Blackburn Harriers won the Senior Women’s Team Race in the Mid Lancs League from Preston Harriers with individual positions 1st, 11th, 12th and took 5th place with the ‘B’ Team counters in 13th, 15th, 23rd, plus 52nd and 98th places. 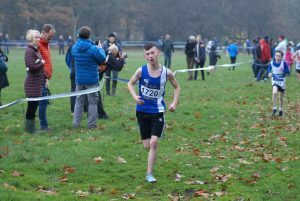 Jake Heyward (Cardiff) was the comfortable winner of the U20 Men’s Race with a 12 second gap over second place and nineteens seconds in front of 3rd. 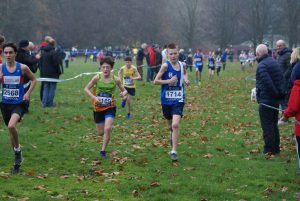 For the Harriers, there were three athletes out, Thomas Marchant, Joe Gebbie and Nick Smith.Thomas came home first (106th) clocking a time of 22.17 with Joe next running a time of 23.02 (129th) and Nick in 142nd (23.41). 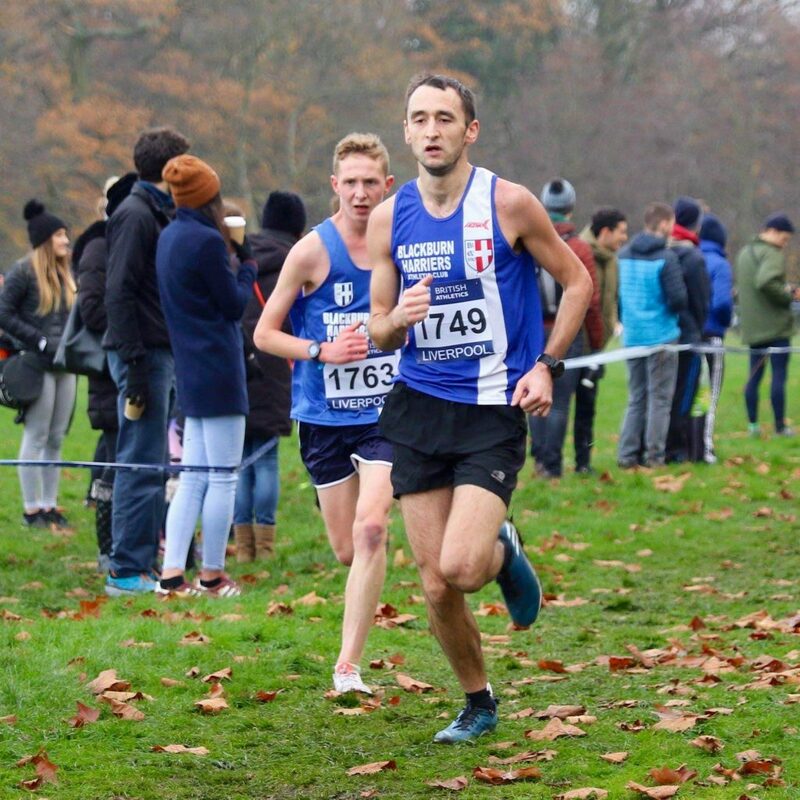 A very impressive run and finish saw Ross Millington win the Men’s Senior Race in a time of 28.00 with just two seconds separating Nick Goolab (2nd), Marc Scott (3rd) and Charlie Hulson in 4th. 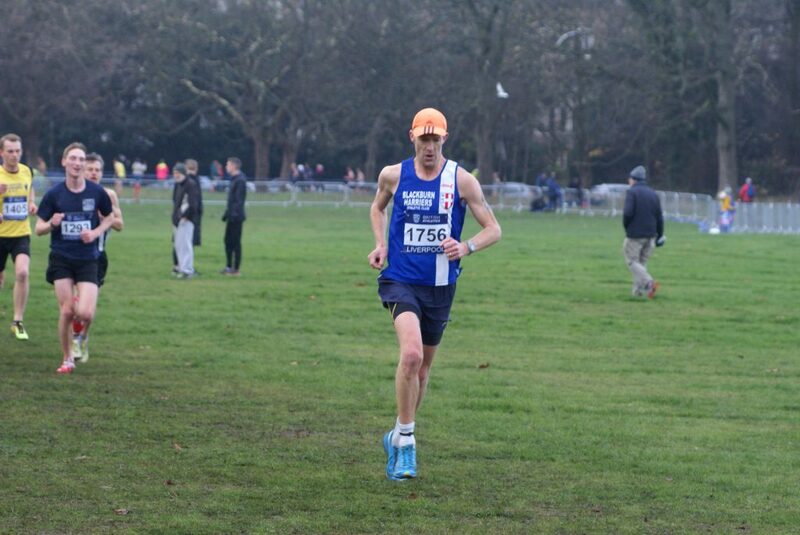 Tim Raynes worked his way through the field after a steady start to make up a lot of places in finishing in a top 100 spot (86th) running a time of 30.50. 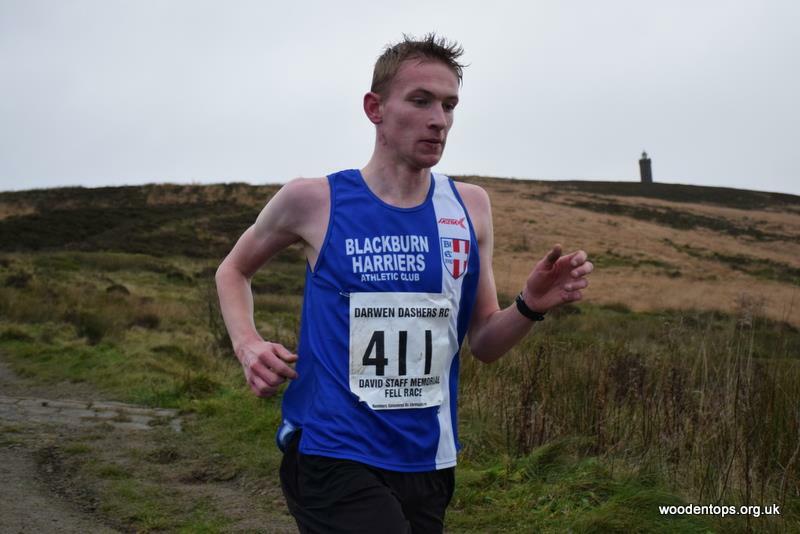 A time of 32.53 saw Chris Davies finish 148th which also earned him the 1st V40 place in the Mid Lancs League results. 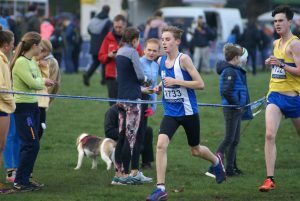 Tom Blaney was next across the line for the Harriers in 179th (34.06) followed by Calum James in 181st and just three seconds further back with a time of 34.09. 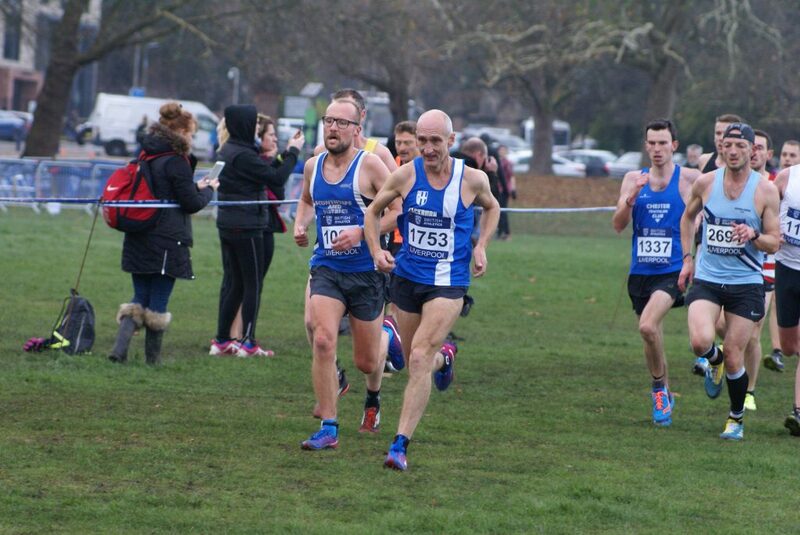 Great to see Joe Howe back in competitive mode after a really bad illness this year, his run seeing him finish 193rd in a time of 34.33 and he was followed by V50 Mark Chippendale in 229th spot (35.33) which made him 2nd V50 in the Mid Lancs League results, Paulo Sousa in 435th (41.40), Danny Teare 534th (45.21) and Allan Hartley in 539th place (45.50). 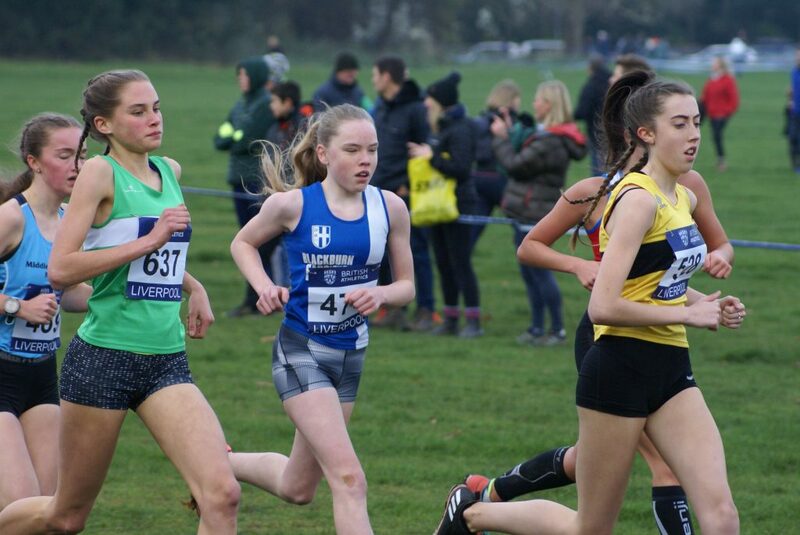 The Harriers finished 6th Team out of 34 Clubs in the Mid Lancs League with individual positions – 10th, 28th, 42nd, 43rd, 49th, 72nd, 212th, 274th and 277th. This race is held in memory of David Staff, a young local athlete and member of Darwen Dashers who sadly died at the age of 17yrs whilst out in a race due to an undetected cardiomyopathy. 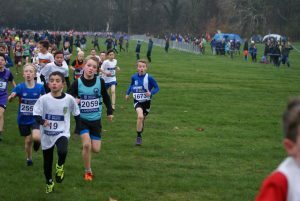 Each year, this race is run in his memory and also to raise much needed finance for Cardiac Risk in the Young (CRY) – a voluntary organisation, dedicated to travelling a round the country providing free medical screening for young people involved in sport. 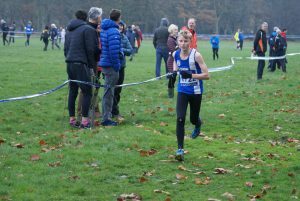 This year – one hundred and twenty nine runners finished the course – with the eventual winner – Jack Smith of Wharfedale clocking 26.25 after a real battle with the Harriers Jack Hindle who took 2nd place in a time of 26.34. 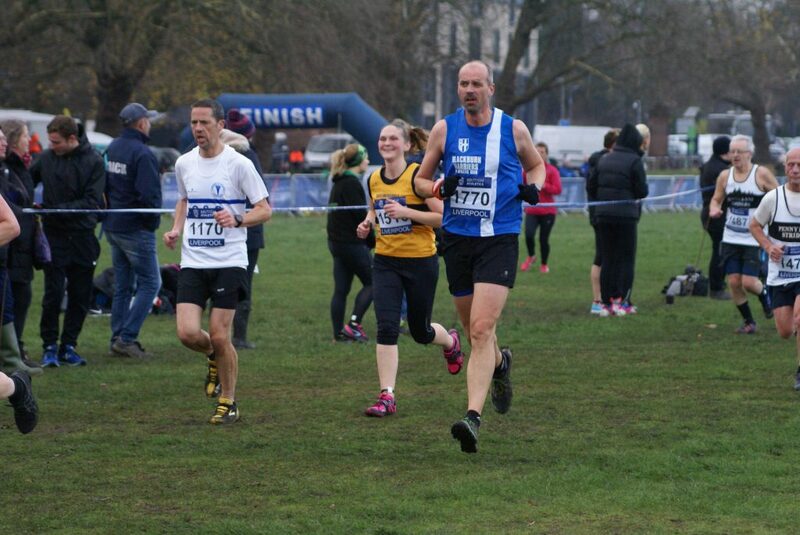 Ian Clarkson also ran the race for the Club placing 57th in a time of 39.24. 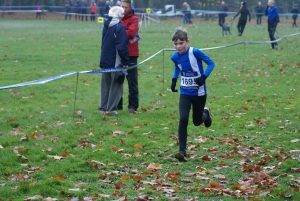 David turned 17 years of age on 5th December 1994 which then allowed him to compete as a senior for the Dashers. 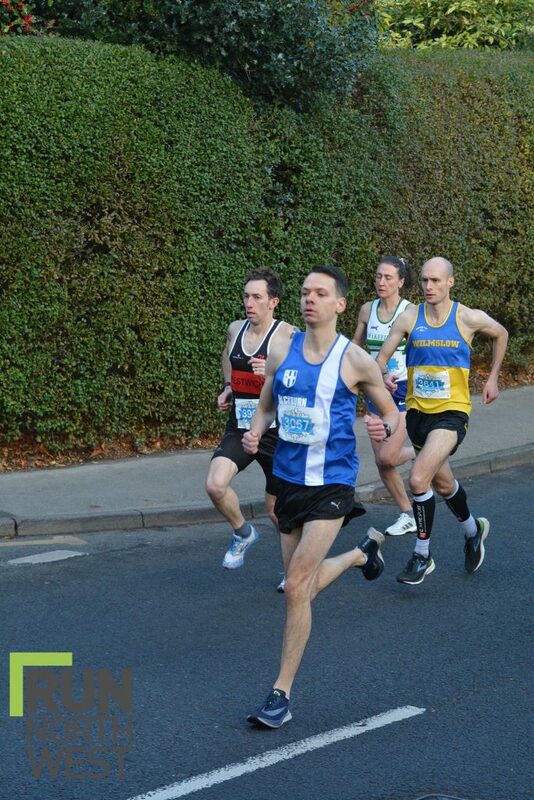 His first race (and last) as a senior was in the Clitheroe 10k on 27th December 1994. 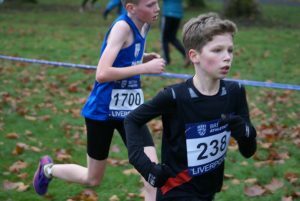 David collapsed and died by the road side at 5 miles from a condition called Hyperthropic Obstructive Cardiomyopathy, which in laymans terms is an abnormal thickening of the heart muscles which interrupted the electrical pulses which keeps the heart working. 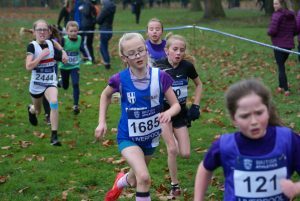 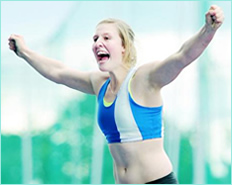 This condition takes the lives of approximately 8 so-called fit and healthy young people a week, most of them are actively engaged in sport, but it is not the sport that kills; it is the exertion that acts as a trigger. 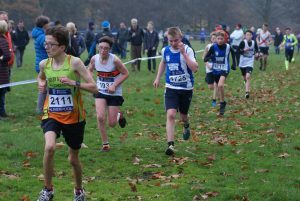 The race is run in memory of David Staff, who joined the Dashers as a 15 year old and competed in many fun runs as a junior. 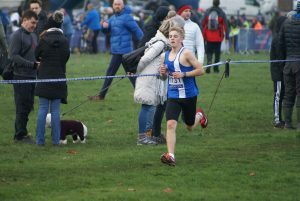 In September 1994, he completed the Great North Run in 1 hour 49 minutes 02 seconds along-side his dad Granville wearing his Blackburn Rovers home and away kit, needless to say the comments along the route in Newcastle cannot be repeated. 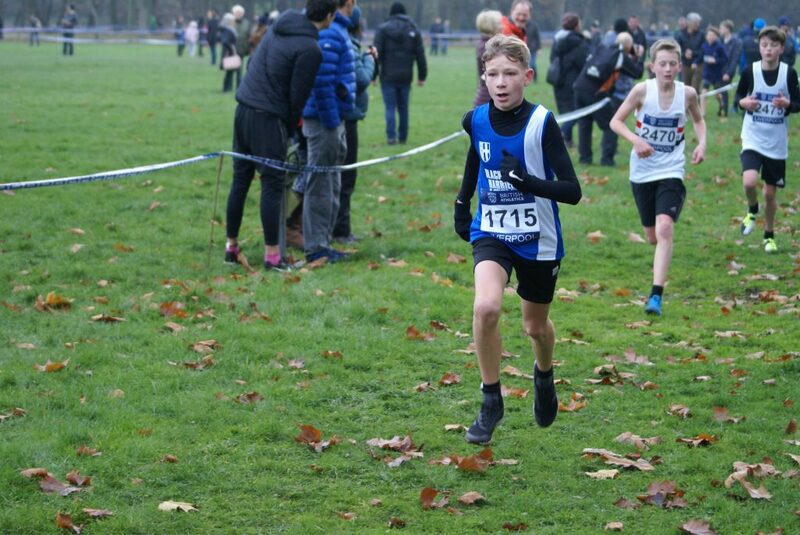 David was a very likeable person who got on with everybody he came into contact with; young and old and had a very bright future ahead of him, not only as a young man preparing to take his A-levels at Queen Elizabeth’s Grammar School but also as a member of Darwen Dashers. 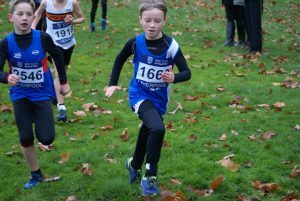 We host this race to raise funds for Cardiac Risk in the Young, the charity that David’s father Granville actively supports. 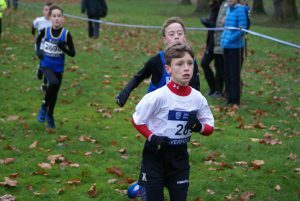 The funds raised are used to provide heart screening in the young; so far over 60 people have had heart defects identified as a result of Granville’s fund raising. 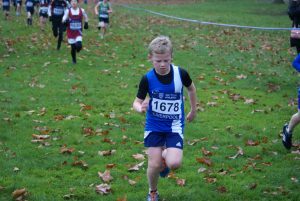 Since David’s death, Granville has raised over £100,000 and we are proud to continue to support this cause. 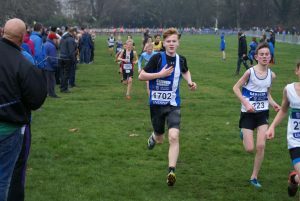 Three thousand two hundred and ninety one finishers in this race won by Callum Rowlinson in a time of 31.36. 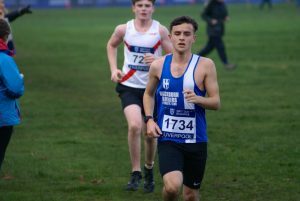 Jacob Watson came across the finish line in 13th place with a time of 33.28 which was just 20 seconds outside his PB set this year (33.08). 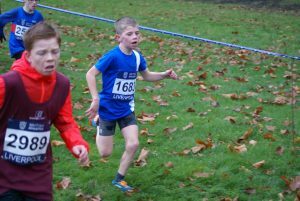 After the Race Jacob spoke to the Club commenting “Thoroughly enjoyable run out at the Wilmslow 10k this morning. 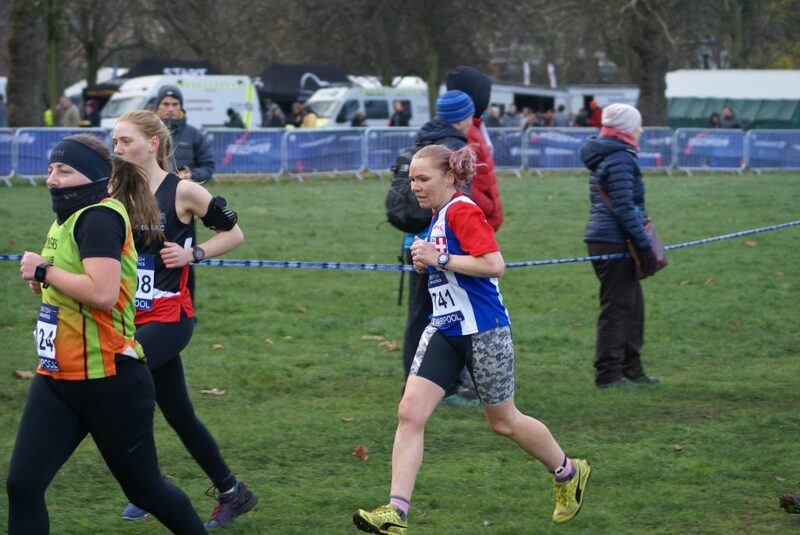 Really well organised event with great support around the course, which could be roughly described as 5k (slightly) downhill, then 5k back up! 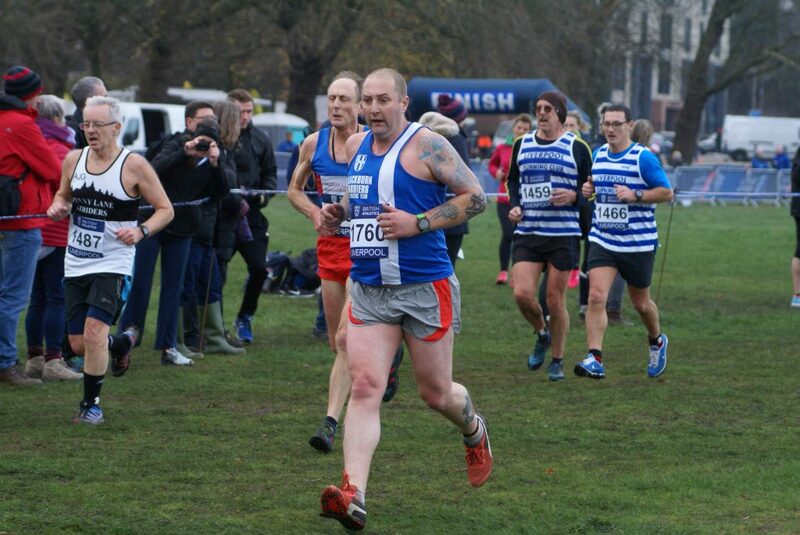 Glad to be keeping my 10k times consistently under the 34 mark and feeling good for the Ribble Valley 10 at the end of the year”. 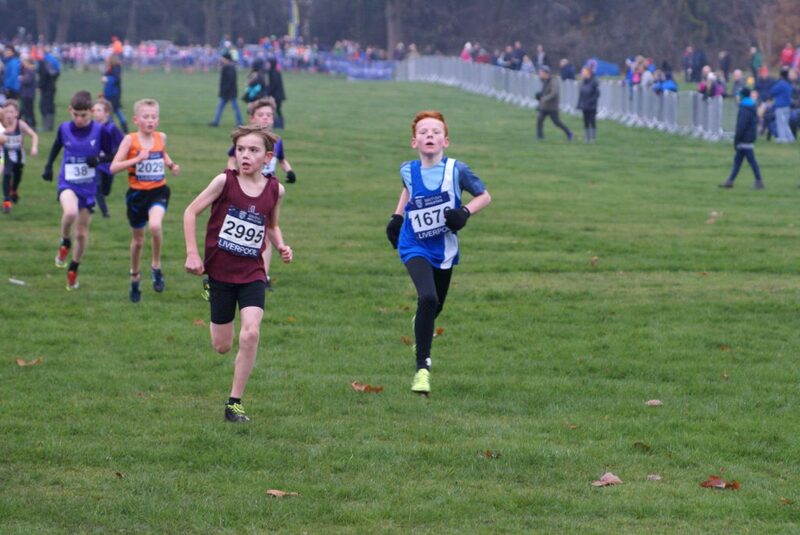 Two young Blackburn Harriers competed in the Championships at the weekend – Zachary Walmsley and Saul Sharp. 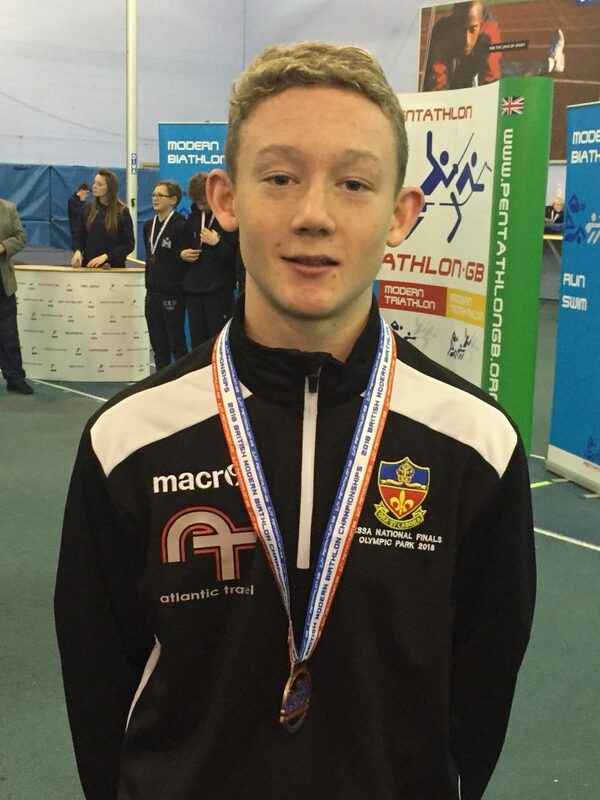 Zach won a Bronze medal after coming 3rd in the Pool with a time of 61.86 and 8th in the 1600m clocking a time of 5.15.57. 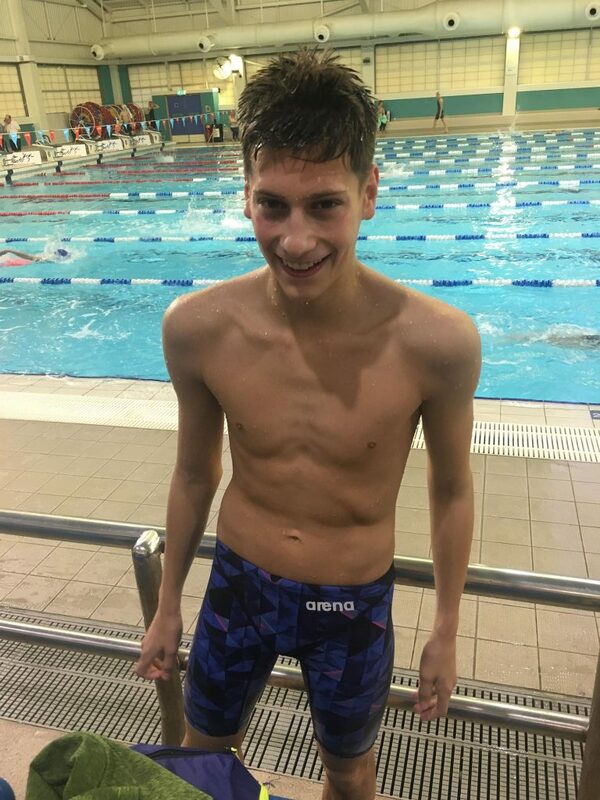 Saul contested the 100m in the Pool and the 1600m, earning himself a new personal best in his swim (69.74) and running 5.50.47 in the 1600m which led to him finishing 9th overall.